If you’re a photographer — professional or amateur, and if you want to capture that certain moment with wildlife, then you know the trick is to capture an experience that represents a personality. Finding the moment that’s funny or nurturing, curious or bizarre, or simply endearing. Knowing animal behaviour is the trick that will help find that ideal encounter. 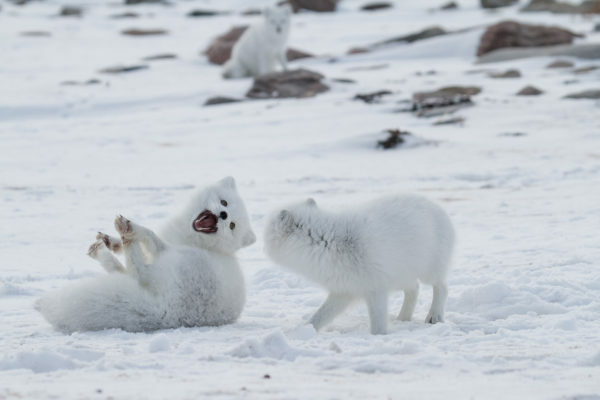 Whether you’re exploring Baffin Island’s coast on a whale watching tour, seeing an Arctic fox play, or a polar bear touring among glaciers and icebergs, here are some behaviours that you may get to witness in the Arctic. 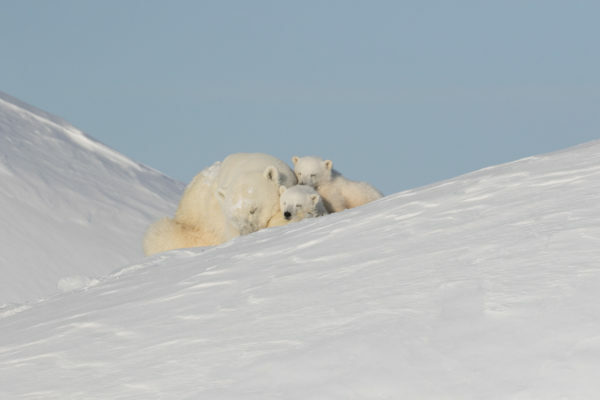 Imagine seeing polar bear cubs nestle up with their mother on top of a snowy iceberg. Observing a mother watching over curious cubs with a nurturing patience is an unforgettable experience in the early part of spring. In these early days, as the cubs grow a little and gain more knowledge of their environment, they begin to mimic their mother as they learn her tactics of survival in the Arctic landscapes. As summer comes, these bears hug the coastline and can be found swimming among icebergs or patrolling along the shoreline. 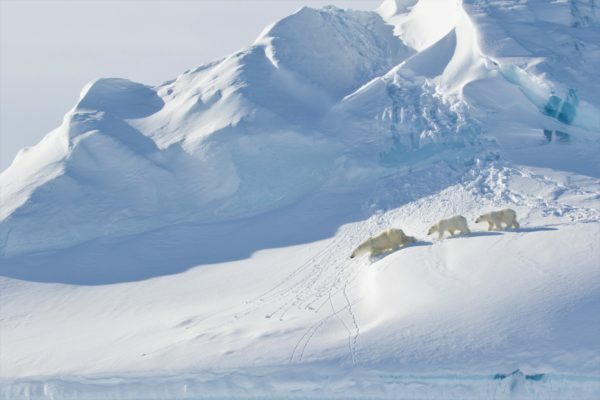 This means if you want to see polar bear on Baffin Island with a snowy landscape, one option is in the early spring is our: Spring Polar Bears & Icebergs of Baffin Safari. 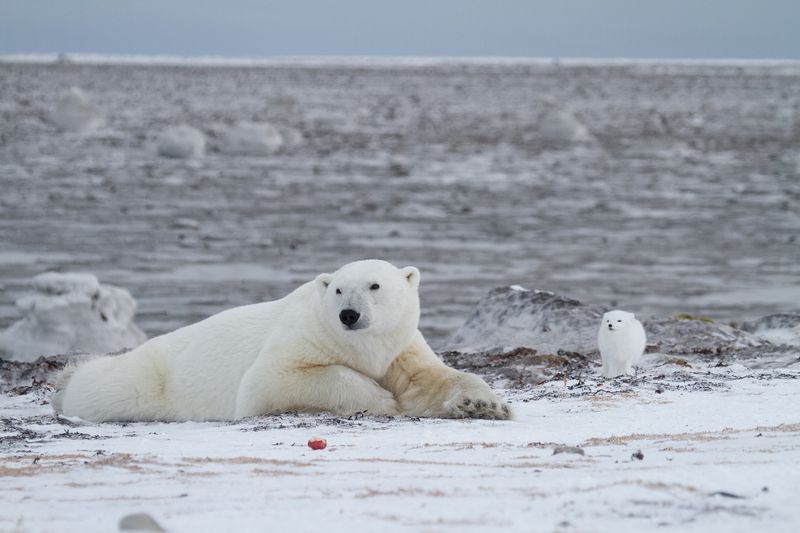 Or later in the year, a safari on land with trips along the coast via a small boat offers remarkable opportunities to observe and photograph polar bear in the Arctic on: Polar Bear & Glaciers of Baffin Island. With 75% of the world’s narwhal population migrating through Lancaster Sound, simply put, northern Baffin Island is the ideal place to see narwhal in the Arctic. In mid-spring (May & June) these whales make their way through waterways, like Navy Board Inlet, following seasonal feeding grounds. Thus, there is no better place to see narwhal. During this time, one can experience the incredible behaviour of the narwhal’s migration. Finding a pod of narwhal emerging from leads and cracks in the ice is a photographer’s dream. Capturing close encounters as these whales demonstrate their remarkable ability to navigate narrow channels and show their social behaviours. Photographs of large pods of narwhal socializing and gently caressing tusks should fulfill any Arctic photographer’s buck-list. 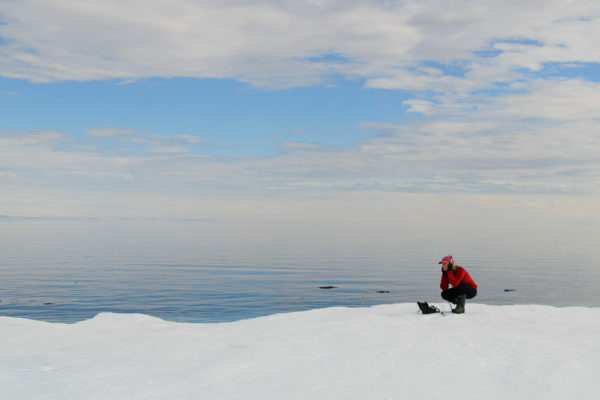 For exciting and iconic narwhal encounters explore: Narwhal & Polar Bear Safari or Ultimate Floe Edge Explorer. Truly a social animal, these are incredibly vocal and social whales. Belugas are called the ‘canary of the sea’ because of their many chirps and squeaks. Imagine hearing whales before you see them emerge from under the ice. They’re also known to migrate alongside narwhal making the pods even larger. This means you’ll find them traveling around Baffin Island making their way into bays that had frozen over in winter. A large population of beluga make their way through Lancaster sound and past Navy Board Inlet each year on their annual migration. 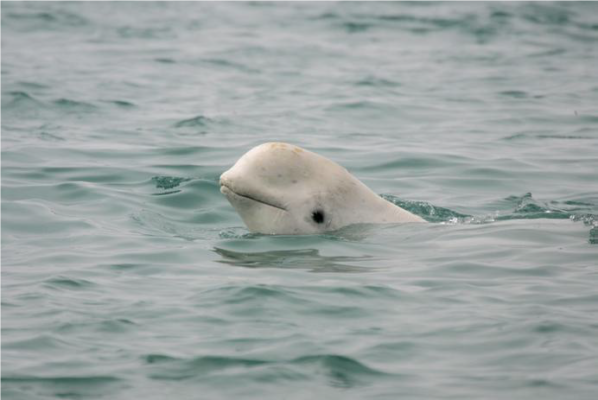 If you want to see beluga in the Arctic learn more about: Narwhal & Polar Bear Safari or Ultimate Floe Edge Explorer. In 2012 a group of photographers on an Arctic Kingdom Polar Bear & Glaciers Safari discovered a new bowhead whale molting location, offering incredible photography opportunities. They watched and took photos as the whales shed their dead skin by rubbing against rocks in a shallow bay. 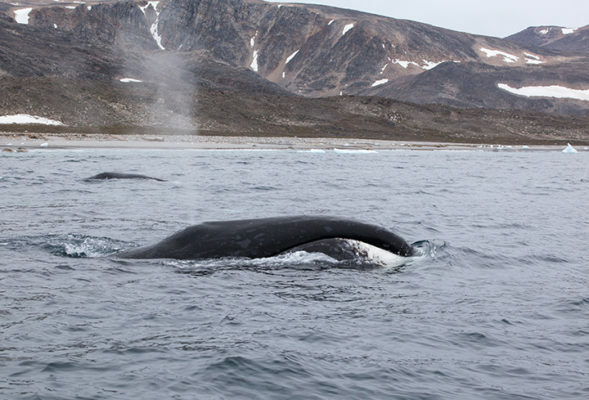 This behaviour only happens once a year, making this an ideal time for bowhead whale tours. Known to be deep-water whales, it’s within the Arctic summertime when you can find these enormous mammals more likely to socialize as they exfoliate into a shiny fresh layer in the rocky shallows. 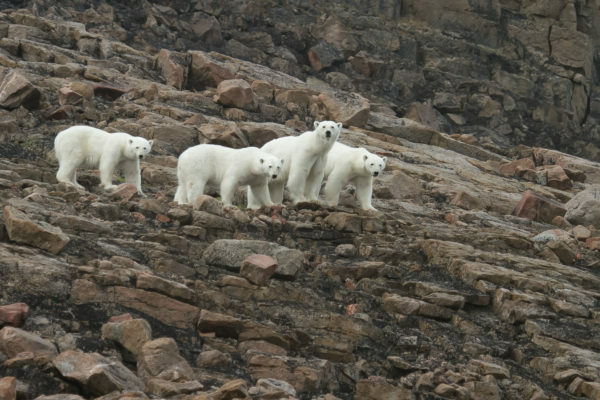 If you want to see this remarkable mammal try: Polar Bears & Glaciers of Baffin Island. 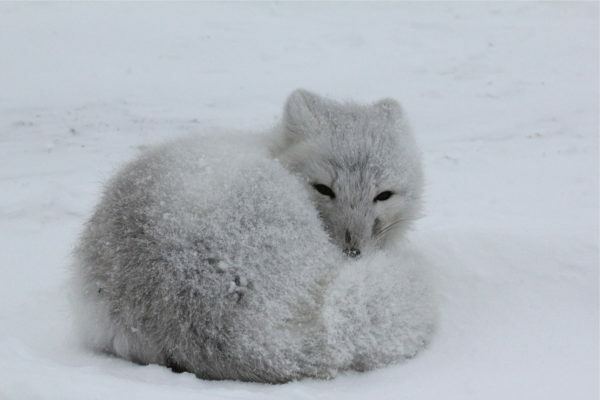 Arctic fox also undergo a breath-taking metamorphosis in autumn as they shed their dark summer fur for its stunning white coat. 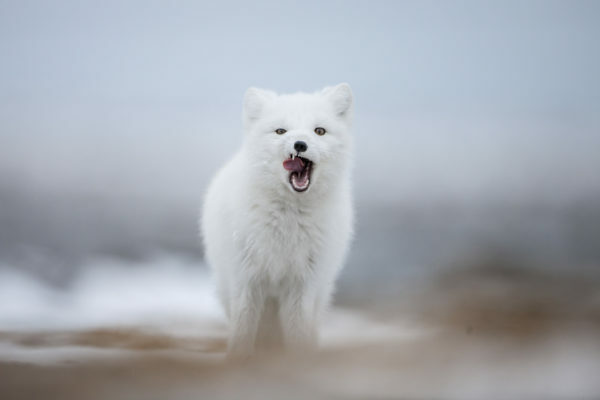 Through this time photographers have captured incredible photos of Arctic fox part way through this phase offering a unique look at this iconic critter. Are you still curious about all the wonders of the Arctic or looking for more interesting content explore more blogs here!